Recent Arrival! New Price! Clean CARFAX. 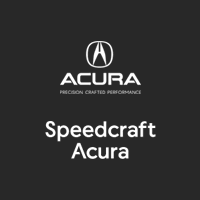 Managers Special, Speedcraft Certified, Great Service History. Blue Mica 2011 Mazda Mazda2 Sport 4D Hatchback Blue Mica with black interior. FWD 27/33 City/Highway MPG Buying a car should be fast, fun and easy. We are here to save you time and money. That’s why every vehicle is clearly marked both online and on our lot with best price right up front. No haggling, no hassles; that’s how we do business at Speedcraft Nissan. Jetta SE, VW CERTIFIED, Jetta 1.8T SE w/Connectivity, 4D Sedan, 1.8L I4 DOHC, 6-Speed Automatic, Brake assist, Electronic Stability Control, SiriusXM. Certified. www.speedcraftvw.com.2014 Volkswagen Black 1.8T SE w/Connectivity FWD 4D Sedan 6-Speed Automatic 1.8L I4 DOHC 25/36 City/Highway MPGVolkswagen Certified Pre-Owned 2012-2017 Model Years Details: * 100+ Point Inspection * Warranty Deductible: $50 * Vehicle History * 2 Years of 24-Hr Roadside Asst. Transferability See Dealer for Details * Limited Warranty: 24 Month/24,000 Mile beginning on the new certified purchase date or expiration of new car warranty expires (whichever occurs later) * Roadside AssistanceSpeedcraft VW is Rhode Island's number one online rated VW dealership! Located just south of Providence, visit us at 104 Old Tower Hill Rd, South Kingstown, Rhode Isand. Contact us today for a quote, to schedule a test drive, or speak with a customer friendly sales professional for any questions! Beetle CONVERTIBLE, Beetle 2.5L Blush Edition, 2D Convertible, 2.5L I5 DOHC, 6-Speed Automatic with Tiptronic, Bordeaux w/Special Edition Leather Seat Trim, 10 Speakers, ABS brakes, Brake assist, Convertible roof lining, Convertible roof wind blocker, Electronic Stability Control, Fully Reclining Front Heatable Bucket Seats, Integrated roll-over protection, Keyless Entry, Special Edition Leather Seat Trim, Traction control. www.speedcraftvw.com.2009 Volkswagen Silverleaf Metallic/Bordeaux Roof 2.5L Blush Edition FWD 2D Convertible 6-Speed Automatic with Tiptronic 2.5L I5 DOHC 20/28 City/Highway MPGSpeedcraft VW is Rhode Island's number one online rated VW dealership! Located just south of Providence, visit us at 104 Old Tower Hill Rd, South Kingstown, Rhode Isand. Contact us today for a quote, to schedule a test drive, or speak with a customer friendly sales professional for any questions! New Price! 17 Sonoma Alloy Wheels, ABS brakes, Compass, Electronic Stability Control, Emergency communication system, Heated Front Comfort Seats, Heated front seats, Illuminated entry, Low tire pressure warning, Remote keyless entry, Traction control. Blue 2015 Volkswagen Passat 1.8T Limited Edition 4D Sedan Blue with Moonrock Gray interior. FWD 24/36 City/Highway MPG Buying a car should be fast, fun and easy. We are here to save you time and money. That’s why every vehicle is clearly marked both online and on our lot with best price right up front. No haggling, no hassles; that’s how we do business at Speedcraft Nissan. Jetta SportWagen TDI, VW CERTIFIED, Jetta SportWagen 2.0L TDI Wagon, 4D Wagon, 2.0L TDI Diesel Turbocharged, 4-Wheel Disc Brakes, Air Conditioning, Brake assist, Electronic Stability Control, Four wheel independent suspension, Heatable Front Comfort Seats, Heated door mirrors, Power passenger seat, Rear window defroster, Security system, SiriusXM. Certified. CARFAX One-Owner. www.speedcraftvw.com.2014 Volkswagen Toffee Brown Metallic 2.0L TDI Wagon FWD 4D Wagon 6-Speed Automatic DSG 2.0L TDI Diesel Turbocharged 29/39 City/Highway MPGVolkswagen Certified Pre-Owned TDI Models Details: * Roadside Assistance * 2 Years of 24-Hr Roadside Asst. Transferability See Dealer for Details * Vehicle History * 100+ Point Inspection * Limited Warranty: 24 Month/Unlimited Mile beginning on the new certified purchase date or expiration of new car warranty expires (whichever occurs later) * Warranty Deductible: $50Speedcraft VW is Rhode Island's number one online rated VW dealership! Located just south of Providence, visit us at 104 Old Tower Hill Rd, South Kingstown, Rhode Isand. Contact us today for a quote, to schedule a test drive, or speak with a customer friendly sales professional for any questions! Golf TDI 6-SPEED MANUAL, VW CERTIFIED, Golf TDI, 4D Hatchback, 2.0L 4-Cylinder Diesel, 6-Speed Manual, Black Cloth, Brake assist, Electronic Stability Control, Power Tilt & Sliding Sunroof, RNS 315 Navigation System. Certified. CARFAX One-Owner. www.speedcraftvw.com.2012 Volkswagen Blue Graphite TDI FWD 4D Hatchback 6-Speed Manual 2.0L 4-Cylinder Diesel 30/42 City/Highway MPGVolkswagen Certified Pre-Owned TDI Models Details: * Vehicle History * Limited Warranty: 24 Month/Unlimited Mile beginning on the new certified purchase date or expiration of new car warranty expires (whichever occurs later) * Warranty Deductible: $50 * 2 Years of 24-Hr Roadside Asst. Transferability See Dealer for Details * 100+ Point Inspection * Roadside AssistanceSpeedcraft VW is Rhode Island's number one online rated VW dealership! Located just south of Providence, visit us at 104 Old Tower Hill Rd, South Kingstown, Rhode Isand. Contact us today for a quote, to schedule a test drive, or speak with a customer friendly sales professional for any questions!Awards: * Car and Driver 10 Best Cars * 2012 IIHS Top Safety PickCar and Driver, January 2017. Jetta TDI W/PREMIUM AND NAV, VW CERTIFIED, Jetta TDI 2.0, 4D Sedan, 2.0L TDI Diesel Turbocharged, 6-Speed Automatic DSG, Titan Black w/V-Tex Leatherette Seat Trim, Alloy wheels, Brake assist, CD player, Electronic Stability Control, Heated Seats, MP3 Player, Navigation System, Power Tilt & Sliding Sunroof, SiriusXM, Variably intermittent wipers. Certified. CARFAX One-Owner. www.speedcraftvw.com.2013 Volkswagen Candy White TDI 2.0 FWD 4D Sedan 6-Speed Automatic DSG 2.0L TDI Diesel Turbocharged 30/42 City/Highway MPGVolkswagen Certified Pre-Owned 2012-2017 Model Years Details: * 2 Years of 24-Hr Roadside Asst. Transferability See Dealer for Details * Roadside Assistance * 100+ Point Inspection * Warranty Deductible: $50 * Limited Warranty: 24 Month/24,000 Mile beginning on the new certified purchase date or expiration of new car warranty expires (whichever occurs later) * Vehicle HistorySpeedcraft VW is Rhode Island's number one online rated VW dealership! Located just south of Providence, visit us at 104 Old Tower Hill Rd, South Kingstown, Rhode Isand. Contact us today for a quote, to schedule a test drive, or speak with a customer friendly sales professional for any questions!